This school year our family is hosting Alicia, a foreign exchange student from France. Before she arrived in the United States, I asked her if she could pick anywhere in the United States to visit, where would she go. Without any hesitation, she said California. I imagine she was thinking of Hollywood or LA, but I thought San Francisco would be pretty interesting too. So we set some email alerts on airfares, and when the price dropped well below what we thought we'd pay, we booked four plane tickets. It may have been a little premature, because we didn't even have any of Alicia's flight information to the States yet, but here we had a plane ticket to San Francisco for her! Once we had our plane tickets purchased, we were on the hunt for the perfect Airbnb. We knew we wanted to live like a local, so when we found Jessica's in-law suite within our budget, we booked that as well. During the course of planning our trip, I reached out to photographers in San Francisco and was able to line up a second shooting gig at 3 Steves Winery in Livermore for the talented Ananda Rochita. 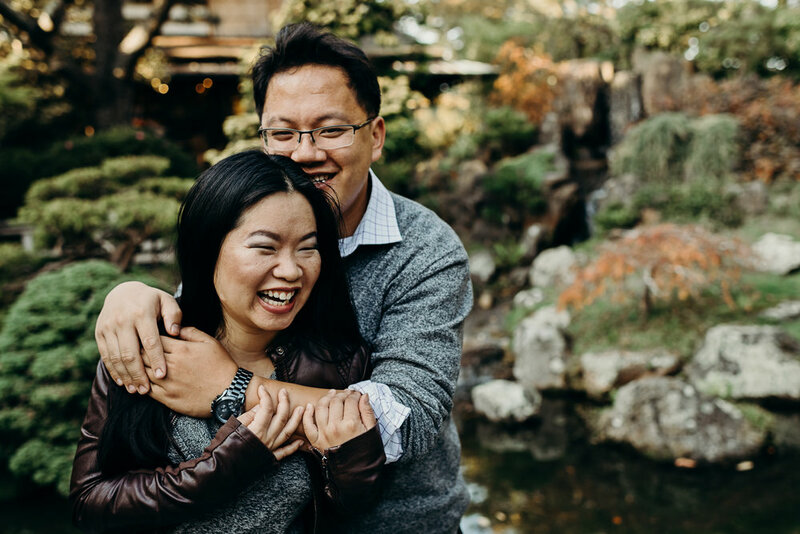 It occurred to me that I should try to line up an engagement session or two as well, so I asked Jessica if she knew anyone who was getting married. Jessica put me in contact with Alex and Liezl whose session will be up on the blog shortly. Later, Jessica mentioned that she and her partner Mike recently got engaged and would love a session as well. Of course I happily agreed! 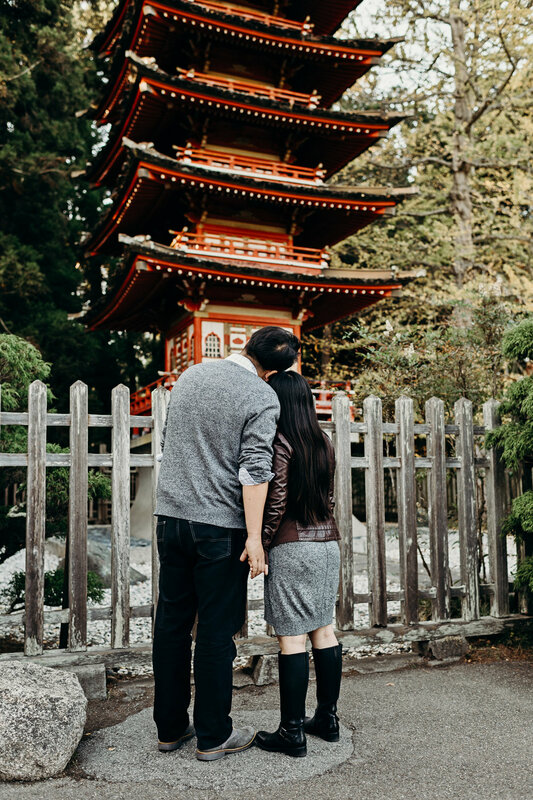 We met Jessica and Mike at the Japanese Tea Garden in Golden Gate Park. We spent just a little bit of time there, but most of my favorite photos from their session are from there because of the architecture and lush greens. We followed Jessica and Mike to Lands End for views of the Golden Gate Bridge and hiked over to Sutro Baths for sunset. Jessica and Mike are such a warm and inviting couple, and I couldn't help but feel comfortable around them as if I'd known them my entire life. I am grateful they offered to take us out for dinner at R&G Lounge and so happy to be able to relax and spend a little more time with them.